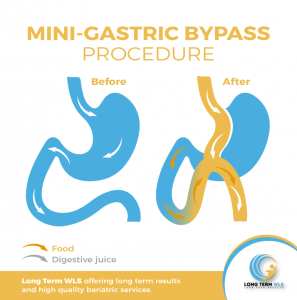 The mini gastric bypass surgery is a very popular laparoscopic procedure; this procedure is commonly used as a treatment for overweight or obesity. This type of surgery allows to shed pounds and control appetite, creating a small pouch in the upper part of the stomach, which is connected with the bowels to reduce the absorption of nutrients. There are so many advantages with this procedure; Mini gastric Bypass allows the patient to see improved results with each passing day, over 80 percent of excess weight loss is achieved during the first month after surgery permitting the patient enjoy sustained weight loss and the open window to a more active lifestyle. Also due the simplicity of its construction this weight loss procedure can reduce the risk of post-surgical complications and shorter time during surgery. This procedure requires that your stomach is divided into two pouches with a laparoscopic stapler, an upper pouch and lower pouch. Most of the stomach will no longer receive food because is no longer attached to the esophagus, creating a much smaller and shaped “tube”. It will help the patient to get fuller quicker and feel full for a longer time. The next step is to bypass between 2 to 7 feet of intestines, attaching the remainder of the intestines to the “new” stomach. Causing that food that flows into your stomach resumes the normal digestive process in the remaining intestine, basically resecting food you’re eating not be completely broken down, process or absorbed within your system/body. In most cases the patient is required to star over one night in the hospital to be in observation. After surgery is required to follow a liquid diet/soft food two weeks after the surgery. Light exercise is very important for the recovery phase; you may be asked to take an everyday walk of 20 to 30 minutes. The stomach will be smaller, so the patient needs to maximize the nutrients of every food, what it means that there’s no room for junk food. The minor complications include hernias at the surgical site, minor incision infections and ulcers. 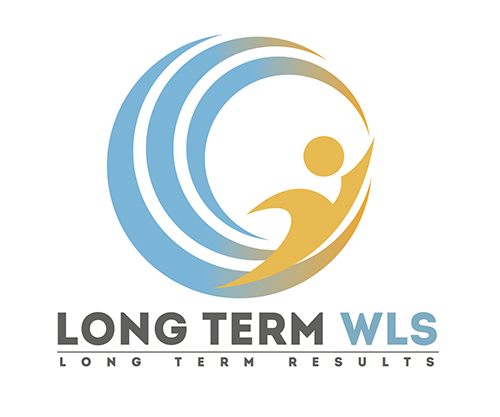 In Long Term WLS / VSG Tijuana Mexico we specialize on weight loss surgeries, offering a professional care and results to all of our patients. Dr. Maytorena and his team would be happy to clear all your doubts and concerns about the procedure.